1. The current WHO classification of endometrial precursor lesions (simple and complex, typical and atypical hyperplasia) is probably conceptually inaccurate and poorly reproducible. Most of these lesions are hyperplastic, but some are neoplastic. An alternative classification scheme that is both conceptually accurate and highly reproducible is needed. 2. The hysterectomy specimen obtained following the diagnosis of atypical hyperplasia frequently contains endometrial adenocarcinoma. Consequently, nonsurgical therapies for atypical hyperplasia should also be acceptable treatment for early stage endometrial adenocarcinoma. Treatment strategies currently are limited to progestational or antiestrogenic agents, and they are effective in a subset of precursor lesions. However, the mechanisms and pathways by which progestins act remains incompletely understood. Other forms of differentiating agents or molecules that correct aberrant pathways need to be identified. 3. The EIN scheme of precursor lesions to endometrioid adenocarcinoma based on a combination of morphometry and clonal analysis is probably conceptually accurate. Lesions recognized as EIN are probably preinvasive neoplasms, and about one half of EIN lesions contain mutations in PTEN. The ability of pathologists to subjectively mimic the classification has yet to be established. 4. EIC represents the immediate precursor lesion to invasive UPSC, and probably is a noninvasive neoplasm. In cases in which EIC and UPSC coexist in the endometrium, they share the same mutation in p53. 5. Endometrial adenocarcinoma can be divided into two broad types, with differing epidemiology, risk factors, mutations, precursor lesions, histological appearances, and biological behavior. 6. Endometrial adenocarcinoma can be further subdivided based on histological features into about six cell types. Some of the cell types also have distinctive epidemiology, risk factors, precursor lesions, histological appearances, and biological behavior. These cell types intrinsically do not have biological significance, but instead probably are secondarily associated with differing mutations that affect proliferation or differentiation pathways. Alternate classifications that offer better discrimination of biological behavior and patterns of metastasis could be provided by a system based on gene or protein expression analyses. 7. The majority of invasive endometrial adenocarcinomas can be cured by surgery including hysterectomy and bilateral salpingo-oophorectomy. Some women with small volume advanced disease in the lymph nodes or adnexa, or with localized vaginal vault recurrences may be cured with radiation therapy. 8. 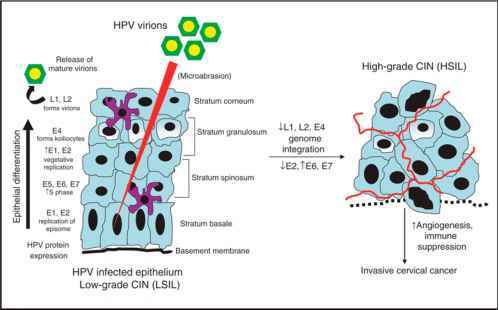 Pathologists and gynecological oncologists have identified clinical and histological features that can be used to create models that are very useful for prognostication. Patients at low, intermediate, and high risk of recurrence can be identified with relatively high accuracy. Pelvic radiation can reduce the incidence of local recurrence, but effective therapy does not exist for those who suffer tumor recurrence. 9. Chemotherapy for recurrent endometrial adenocarcinoma using multiple agents is largely palliative, with relatively low rates and short duration of response. It is unlikely that any chemotherapeutic program alone will be curative. 10. Hormonal therapy for recurrent endometrial adenocarcinoma is also palliative, with low response rates of generally short duration. As currently administered, it is very unlikely that any hormonal therapy will be curative. 11. Given the inability of any current modality to cure most women with recurrent endome-trial adenocarcinoma, other forms of treatment should be aggressively pursued. Obvious potential targets include PTEN, p53, Her-2/neu, because these genes are mutated relatively often in different types of endometrial adenocarcinoma. Knowledge of the pathways that are altered in various tumor types defined by gene expression analysis will probably provide better targets for antibody or gene directed therapy. Creation of tumor tissue and serum banks will be critical to the identification of both tumor classifications (molecular signatures) and their appropriate therapy.